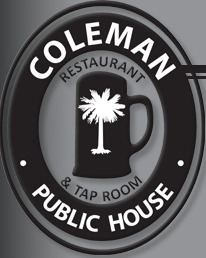 If you're looking for a moderately priced, cozy, and nicely decorated place for dinner and drinks, the new Coleman Public House, at 427 W. Coleman Blvd, is the place to go! Their burgers are unique and absolutely scrumptious. They take a normal cheese burger and turn it into a fabulous meal. The Bar staff is extremely knowledgeable and wonderfully animated. They can pair any beer, from all over the world, with any meal on the menu. The beers are an eclectic display of taps and bottles that are served in glasses made just for each type. They were already given a rave review in the Charleston City Paper and are drawing crowd after crowd each night! It's definitely worth the trip over the bridge.